PDP governors are not thieves, says Makarfi – Royal Times of Nigeria. 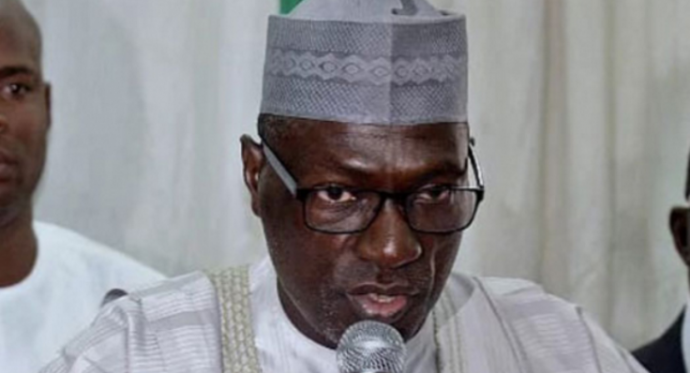 Chairman of the National Caretaker Committee of the Peoples Democratic Party (PDP), Senator Ahmed Makarfi has said governors elected under the party were not thieves. Spokesman of the faction, Prince Dayo Adeyeye, Makarfi in a statement was responding to an accusation made by Mr. Cairo Ojougboh, the Deputy National Chairman of the party that the party will not accept stolen monies from Governor Ayodele Fayose of Ekiti State and Chief Nyesom Wike of Rivers State. The statement said in part, “For the umpteenth time, we want to reiterate that Mr. Ojuogboh, the former National Vice Chairman of the Peoples Democratic Party (PDP) has no locus to speak in the capacity of Deputy National Chairman of the PDP. He is an interloper and an impostor; and as such, any action or statement made by Cairo Ojugboh and other self-appointed members of the Sheriff renegade group is illegal, null and void and should be disregarded by all loyal supporters and members of the PDP. “Let these irritants take note that Governors Fayose and Wike and indeed all Governors elected on the Platform of our great Party, the Peoples Democratic Party (PDP) are men of integrity. Our Governors are responsible and trusted Party men that are working tirelessly in their various states to deliver the needed dividends of democracy. The people of Rivers State and Ekiti State can testify to the wonderful achievements of our Governors in their states and other states governed by the PDP. “Again, regarding the purported campaign or mobilisation by the non-existing National Working Committee under Senator Sheriff, we wish to further state without any ambiguity that its actions are illegal, null and void. Faithful Party men and women in the South East and any other zones in Nigeria should disregard such meetings or gathering. “The National Caretaker Committee led by Senator Ahmed Makarfi has appealed the Judgment of February 17, 2017, at the Supreme Court and in the eyes of the law, until the Appeal is set aside by the Supreme Court, the National Caretaker Committee remains in charge of the affairs of the PDP. So, Senator Sheriff and his co travellers have no power to call for any meeting of Party members or supervise the affairs of the PDP forthwith. “We, therefore, want to further call on Senator Ali Modu Sheriff to stop parading himself as the National Chairman of the Peoples Democratic Party (PDP). We further call on all security agencies and other agencies of government to stop according him or members of his illegal team any support or assistance.